Our first shipment sold-out fast...Pre-Order to guarantee your delivery with our next shipment expected in Mid-June. 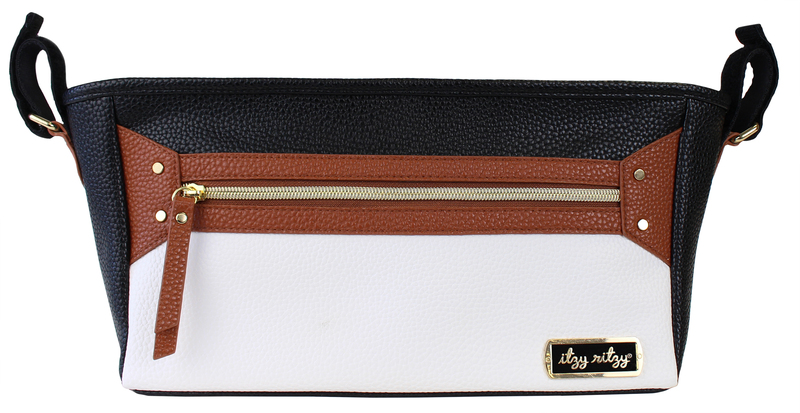 Stay organized while on the go! This stroller caddy is as practical as it is sleek. 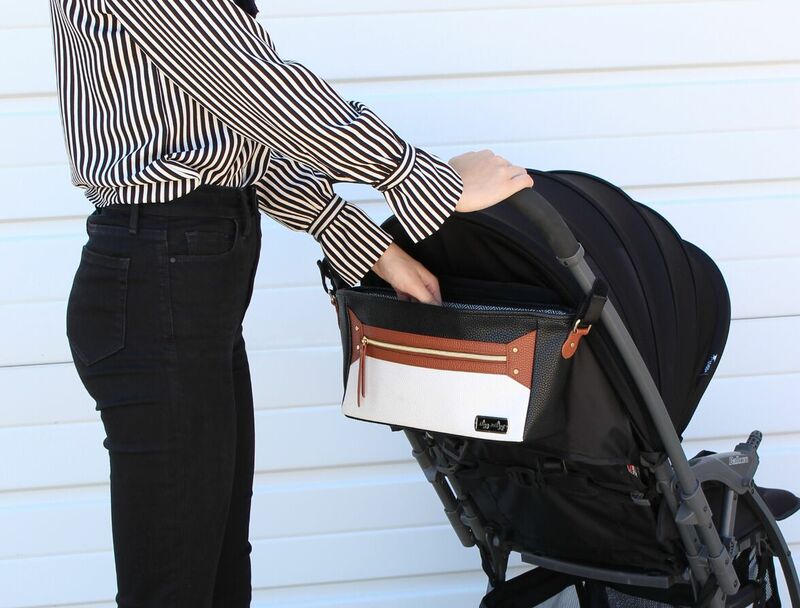 It features adjustable straps that can accommodate almost any size of stroller handle, and they allow the caddy to be repositioned and moved whenever you choose. The interior of the caddy includes two built-in pockets to hold bottles along with a roomy middle pocket. 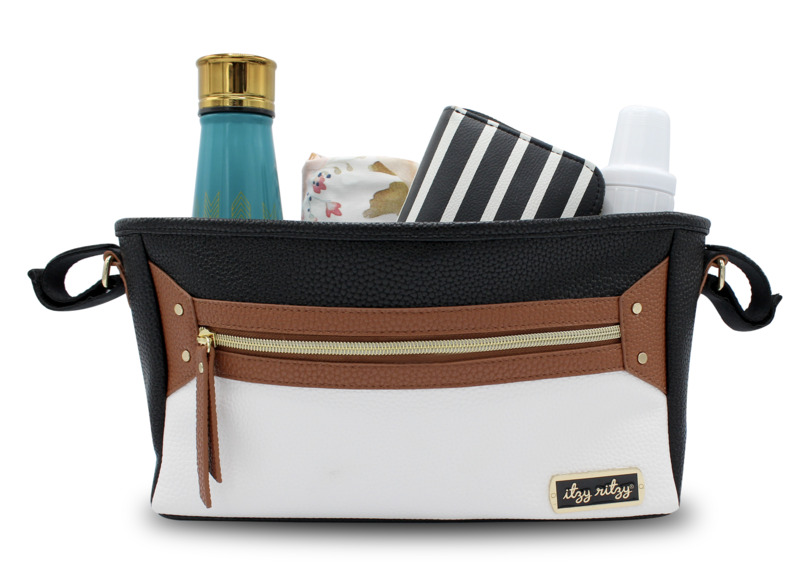 The stroller caddy easily wipes clean, making it the perfect addition to any stroller! Our first shipment sold-out fast...Pre-Order to guarantee your delivery with our next shipment expected in Mid-June.